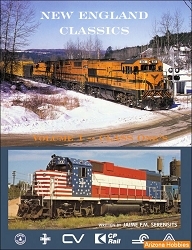 Volume 2 looks at the changes that affected the Maine Central from the 1940s up to the present day; changes in ownership; operations; lines abandoned, downgraded or sold; steam and diesel locomotives, rolling stock and structures. Also taken is an in depth look at some of the locations and operations that epitomized the Maine Central: Portland, the shops at Waterville, Bangor and snowplow operations. 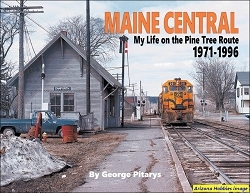 We begin with the situation the Maine Central found itself in the early 1940s. We end with Guilford ownership and the operation of some of the oldest locomotives in regular operation in the country. 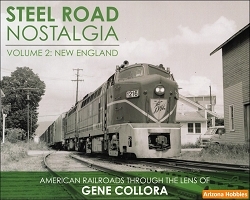 This book is a good mix of steam power, early diesels and Maine Central locations.